WELDING GAS EXCHANGE | Wythe Sheet Metal, Inc.
Wythe Sheet Metal carries a variety of welding gas for the DIY homeowner, hobbyists, farmer, or contractor. 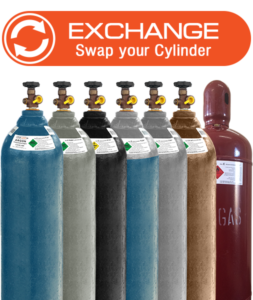 Exchange your empty cylinder for a refill of acetylene, oxygen, or shielding gas in a variety of sizes. Call or visit us to find out more about the welding gas cylinder exchange.